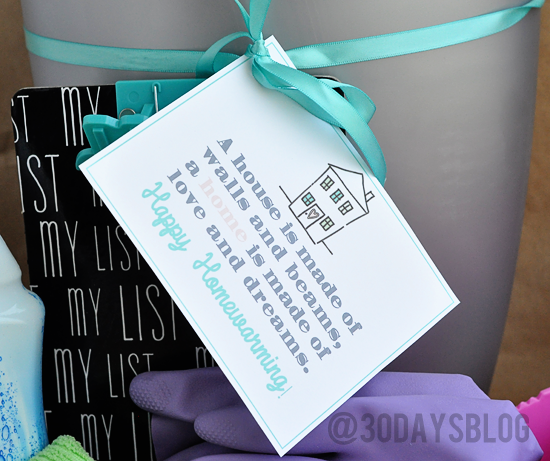 Because there’s lots to think about when you move.. these housewarming gift ideas are fun to deliver to a new homeowner. 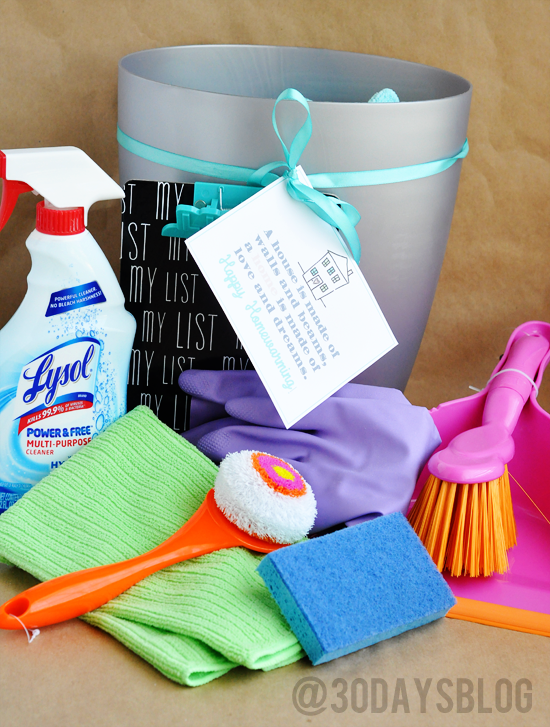 BUT – I love a clean house. Nothing makes me happier than having a freshly scrubbed kitchen to cook in. Or a bed that’s been made. I decided to put together a little housewarming gift. You know me, I love making gifts. I also love doing printables. You knew that too, right? 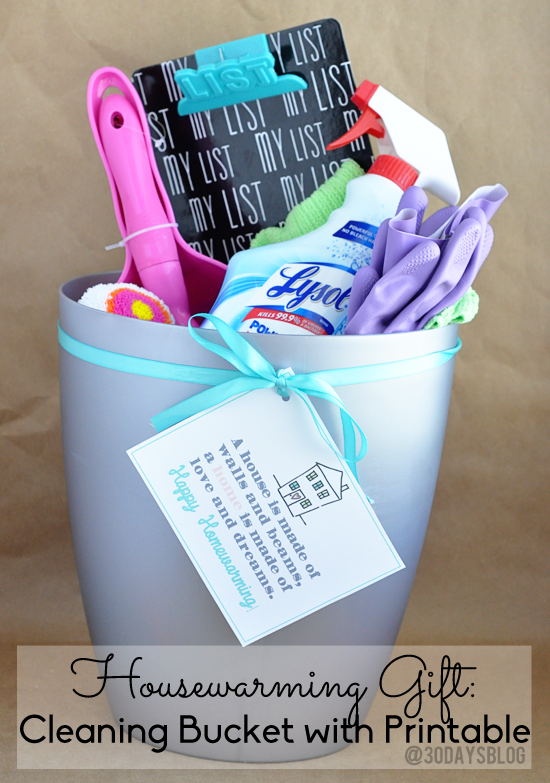 I grabbed some practical items that anyone with a new house would use. Instead of an actual bucket, I used a mini trash can. Because one can never have too many mini trash cans. Am I right? I then added wash cloths, a pair of rubber gloves, a scrubber, Lysol, a dust pan and brush, and a cute little clipboard that I found at Target in the dollar spot. The printable that I created could be used with any housewarming gift. I just think it’s the perfect addition to this little present. Gather your supplies and print of this Happy Homewarming card. Attach with a ribbon and you’re all set. As always, printables are for 30days subscribers and personal use only. Thanks! 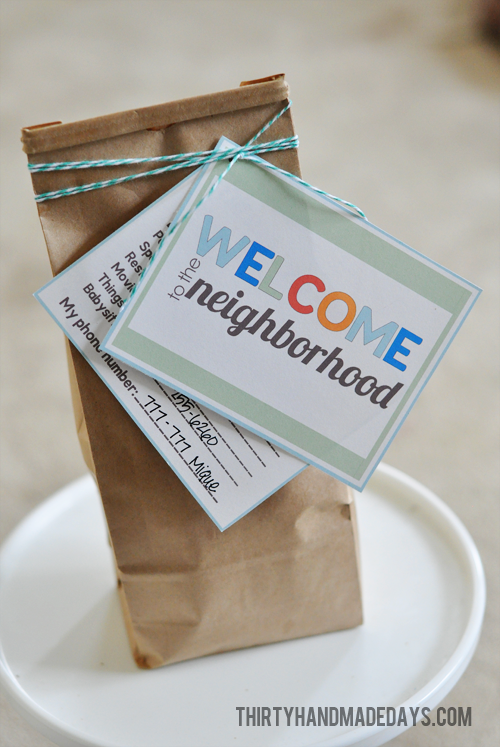 Need another cute welcome gift? Check out my Welcome to the Neighborhood gift!